“Mahra re Giridhar Gopal …” (Mere to Giridhar Gopal) is a devotional song sung by Meerabai for her beloved Husband (Lord Krishna). 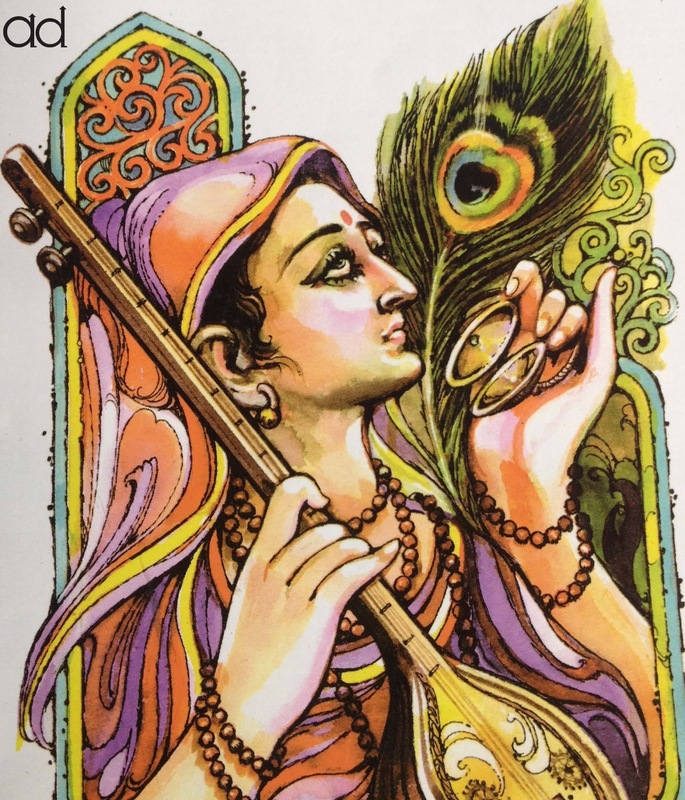 Meerabai was a dignified, spiritual singer and devotee of Lord Krishna. Her Bhajans (prayerful songs) are popular throughout the India and they are in passionate praise of Lord Krishna. This prayer - Mahra re Giridhar Gopal shows her eternal feelings of love and her strong belief of her only relation with Lord Krishna. Mahra re Giridhar Gopal, Dusara na koya. Dusara na koyi sadhu sakal lok joya. I have only Giridhar Gopal (Lord Krishna) and no one else. I have seen all the people, but no one else is as good (as my Giridhar Gopal). Bhaya chandya, bandha chandya, chandya saga sohya. Sadha sang baith baith, lok laaj khoya. Bhagat dekhya raji hua, jagat dekhya roya. Aswan jal sinch sinch, prem vel bhuya. Rana vish ro pyala bhejya, piya mangan bhuya. Ab t baat phel padya, Jaanya sab koya. ‘Meera’ re lagan lagya, hua ho jo hoya.